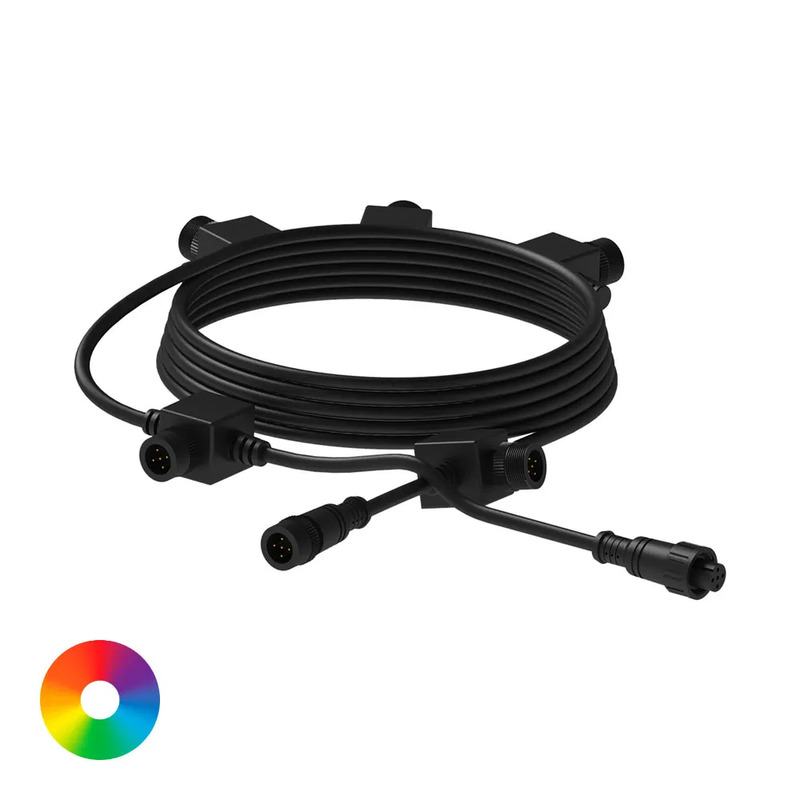 25' 5-Outlet Color-Changing Lighting Extension Cable - Aquascape, Inc. The Aquascape 5-Outlet 25 Color-Changing Extension Cable allows for the extension of color-changing lights and splitters, providing a quick-connect fitting every 5 feet. Professional, weather-proof, 5-pin, quick-connect connections with integrated fitting grips make installation quick and easy, simply insert the light or splitter connection into the extension fitting and turn the collar until hand-tight. Multiple extensions can be chained together to attain further cord runs. Aquascape is passionate about the products we produce, providing unique products, designs, and features that stand above the competition.